The Coachella Valley Music and Arts Festival is coming to Indio, California in April and the lineup was released this week. 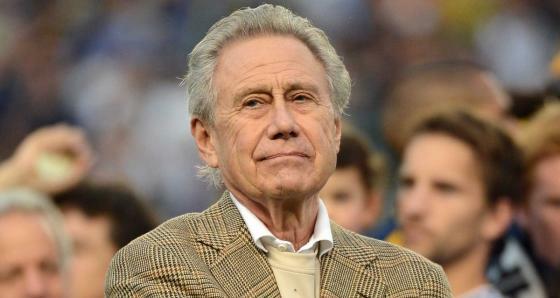 Coachella's parent company, AEG, is owned by conservative billionaire Philip F. Anschutz. Anschutz is not quite as chic as his festival which features artists like Kendrick Lamar and Beyonce. At issue are contributions made by Anschutz's foundation. Those include donations to anti-LGBT hate groups such as Mission America and Family Research Council. The tax returns are formatted (possibly by design) to make it very difficult to explore contributions. Then there are groups of recipients that are alphabetized which means that there is no order to the madness. Nevertheless, there are also contributions to anti-LGBT organizations like Alliance Defending Freedom. Late Thursday, Anschutz issued a statement. Recent claims published in the media that I am anti-LGBTQ are nothing more than fake news – it is all garbage. I unequivocally support the rights of all people without regard to sexual orientation. We are fortunate to employ a wealth of diverse individuals throughout our family of companies, all of whom are important to us – the only criteria on which they are judged is the quality of their job performance; we do not tolerate discrimination in any form. Both The Anschutz Foundation and I contribute to numerous organizations that pursue a wide range of causes. Neither I nor the Foundation fund any organization with the purpose or expectation that it would finance anti-LGBTQ initiatives, and when it has come to my attention or the attention of The Anschutz Foundation that certain organizations either the Foundation or I have funded have been supporting such causes, we have immediately ceased all contributions to such groups. That does not seem to be the case. I have asked the corporate contact (Michael Roth) to identify organizations that the foundation ceases to fund because of anti-LGBT activities. I do not expect to receive a reply.